This is a new design by Katya (my 6 year old daughter) and part of the Norwegian series. Ugle is Norsk for owl. 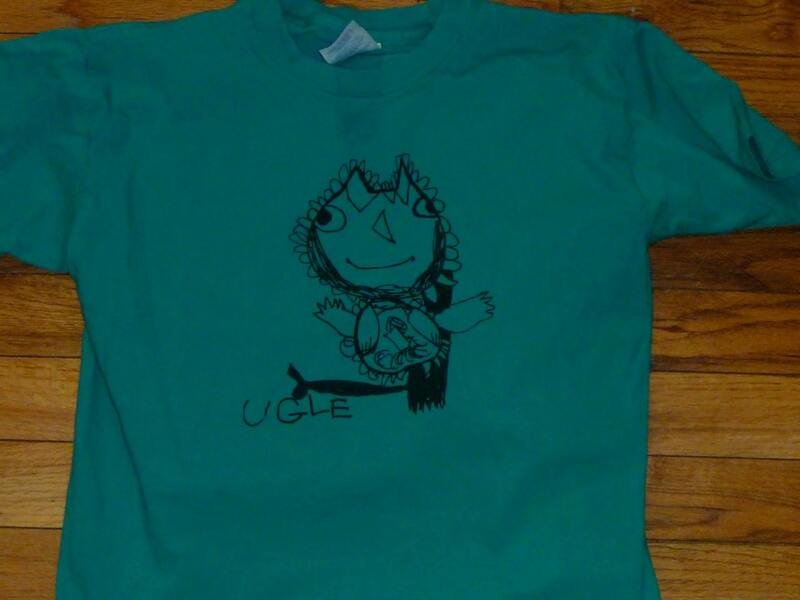 The size is a youth Medium, in green. This is the first one, there are more that will be listed very shortly. This price is only for items already printed and is not available for anything needing printed.